Measuring over five miles wide and almost 21 miles long, Oneida Lake is the largest body of water nestled totally within the Empire State, and state’s single most productive warmwater fishery. Savvy anglers from all over the country–and beyond–know it. They come year-round, to ice-fish in winter and using spin, fly, and trolling gear through the remainder of the year, for delectable panfish, walleye, bass, pike, pickerel, crappie, catfish and more. A regular stop on the professional bass-fishing tournament circuit, Oneida Lake is a famous and popular fishery. FISHING ONEIDA LAKE is the only book detailing this lake’s remarkable fishing opportunities, from a renowned local angler who has fished every area in the lake repeatedly. 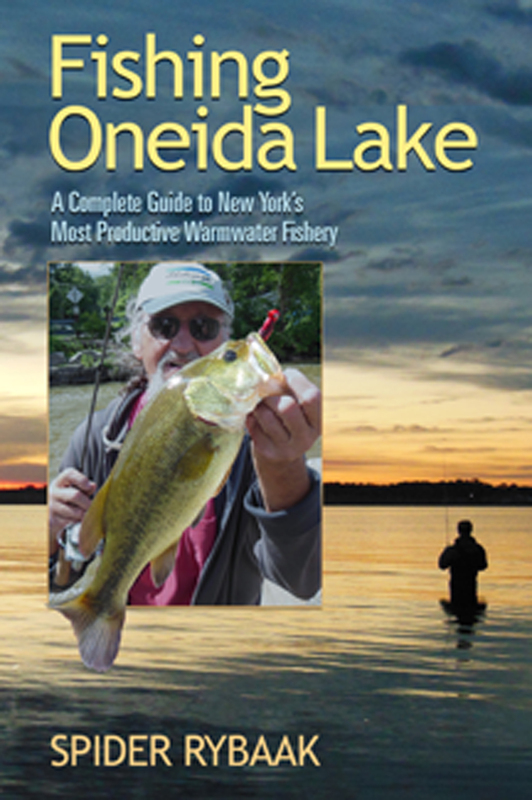 Organized by season, and featuring 67 specific locations for angling success, FISHING ONEIDA LAKE will reward the reader with all the knowledge needed for an outstanding day on the water. Spider Rybaak writes on angling and the outdoors for the Oswego County Tourism Bureau, lectures frequently on fishing in the area and is the author of FISHING THE GREAT LAKES OF NEW YORK and other books. He lives in Canastota, NY—just steps away from the shores of Oneida Lake.